E-commerce is the modern trend for selling your brand and services online and to bring about new leads for your business. E-commerce Portals help to achieve a huge traffic and also enables customers to access your website at their convenience. 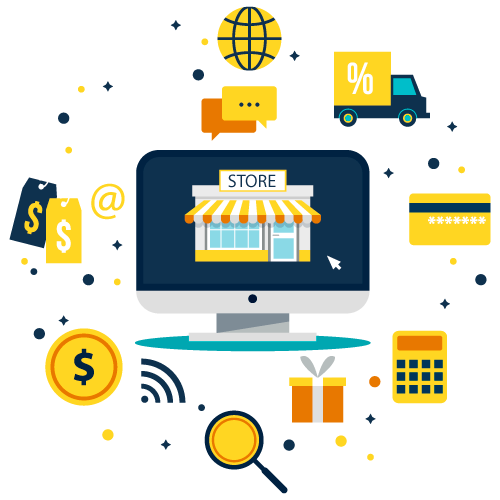 If you are searching for an E-commerce web development agency, WEBROOPTECH is the right stop for you! We have a complete team of highly and experience skilled developers with strong passion and assurance towards web and application development. We provide high quality, cost effective and on time delivery E-commerce development services to our clients so that they can grab maximum profit. Webrooptech develops E-trade websites, which are right mixture of creativity, innovation, particular design, trendy internet standards, and cozy codes and search Engine friendly web-pages. Our services will offer you with a splendid platform a good way to enhance your commercial enterprise’s visibility and help you grow and amplify your enterprise online.